As many paths, so many ways, so many methods, techniques, talks, debates, religions, forms, knowledge, and so so many ways that manifest unto us through infinite means and mediums. With the approach of the ascension period and spread of light, spirituality takes a new outlook altogether, something which had been predicted or anticipated hundreds and thousands of years ago by sages. 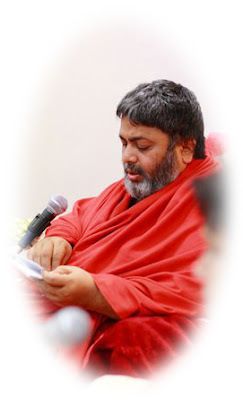 The only difference that is seen around now with the new wave of spirituality is that the same words are spoken in much adaptation to the much advanced world, the same words that our sages once simply casually mentioned about. That is what i notice even today that the language of the sages have not differed. The language that Babaji speaks is still the same language that he communicates through so many ways apart from the normal medium of speech. i still find Babaji's teachings so much impressive and presented in such beautiful ways but again all of his modes of teaching, singing, sharing, loving, healing - all point towards just one thing - to bring awareness among souls for self-purification. i must mention today that i have been very fortunate to write the blogs here and i was just mentioning it to a friend in a recent trip how it has helped me immensely in many ways. The blog has helped because while i am at this job, i am knowingly or unknowingly using my physical, emotional, mental and intellectual bodies. i would like to share this here with the hopes that it may help someone. All these bodies have automatically got involved in in the teachings and representations of the guru. When i listen to Babaji's discourses on the TV or am in a shivir, i have got into the habit of noting down, inspite of knowing that i somehow know it. Babaji speaks the same thing in so many ways that till date i have found so many ways to express the same teachings that he renders. All this done by him just to make everyone grasp in whatever way they best do. i have been noting down things because of the blessing of being able to share this here and since this place is a my creative outlet i keep noting things always. 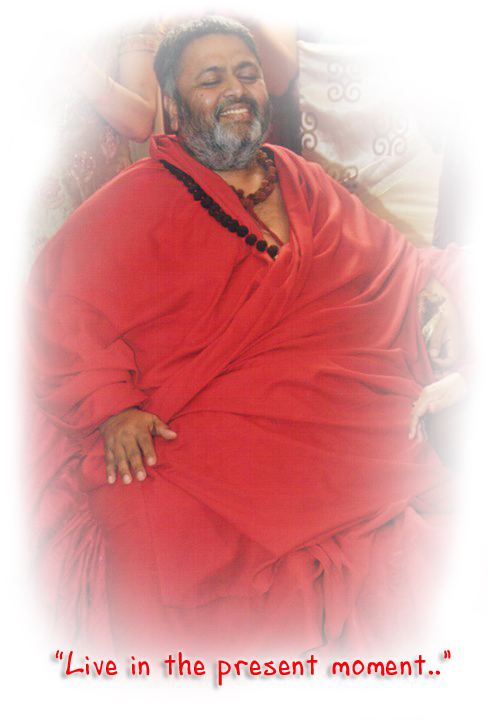 Now, whenever i am looking or listening to Baba and noting points down, i am using my /audiovisual connections with Babaji as he speaks, my ears are attuned to what he says because somehow i am all the time alert because i somewhere deep down know that i cannot make mistakes in what he says or misinterpret him in any way as many read here. i take this also as a blessing in disguise because it is only because of that alertness or awareness that i have learnt so much from Baba. So first time my mind and intellect registers it by seeing/listening. Second time it is registered as awareness is there on what is being written also. After few days when the book is picked up to be written into the blog, a third time (now freshly) goes through the same teaching and fourth time when i type it on to the blog. If at any case it has to be checked for errors then the fifth time it is gone over. So the intellect, mind, energy and body is involved in this process and all this while the impression gets stronger. A sixth time would be a boon if i have to refer back to one of these notes randomly to put up a quote of Babaji on Facebook just as a beautiful thought for the day. Initially, it was a mechanical kind of process but very soon i realized how it sort of starts getting into the consciousness. So i thought i must share this so that it can help someone practice this whole thing is whatever best way they prefer to or can. What i essentially wanted to convey here is that it is not just the repeated task we do that matters, it is with what intensity and awareness we are doing it with. i am sure the above process would not have helped me must if it was a mechanical job, but it helped only because of the awareness into the process, even though that awareness must have just come trying to be alert not to make mistakes. So i am amazed at how just being responsible can trigger so much of things. This is where another teaching of Babaji comes into picture - accepting responsibility for everything that you are and you do and another teaching is about enjoying whatever you do. i am sure that these two teachings do surely help quoting just the above experiences. So being responsible for every action would again mean being aware of every action, because with this responsibility and it's resultant awareness, the focus becomes stronger and wherever you focus energy goes there! That is why Babaji reminds that our energies are so powerful if concentrated in one direction. Due to our attention into so many things and aspects of life, this powerful energy and blessings of Sanjeevani is scattered in all directions. Just pulling one's awareness into one particular aspect makes the energy stronger and thus faster the healing or any manifestation. Babaji talks often about how in school his teachers demonstrated using a lens in sun how a paper could burn when all the sunlight in focussed on one spot. Same with awareness; it is nothing but withdrawing all the unnecessarily scattered energies. This is what is the power of "Tum chahthe kya ho?" The more your awareness on "tum chahthe kya ho" or in other words what you want in life, the more the possibility of manifesting it into your physical world. In this article what i would like to convey is beautifully all teachings can erupt from one word or one expression. So, this entire writing is just about all the things that erupt from that one golden word - AWARENESS. i have realized that it is awareness that Babaji talks about in so many different ways. He says "be aware" or "consciously create" or "sajag rehna". 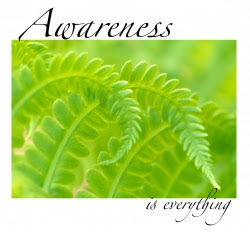 Through this awareness comes everything, yes, literally everything. It can be observed how important this word is when it is used with so much from every a small discourse to a shivir to Pratiprasav shivir. Even in Pratiprasav in Kurukshetra the greatest teaching was to be aware when one leaves the body. So Babaji says if this awareness is practiced during the living days, one will be totally aware during the death process too and thus not wander off or fall prey to the situations that are created depending on how one has lived his life. This can come with only enough practice while being in the body. Practicing the awareness and mastering it in this process during living days would definitely be nothing less than a great blessing! Now i get it clear why Babaji says be totally conscious in every aspect of life, be it eating, drinking, working, talking, just sitting and even sleeping in awareness. 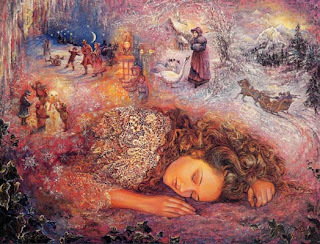 i know that there is a stage that comes when one is even aware of one sleeping, even being aware of dreams - the state which Easterners have called as lucid dreaming , where you are aware that you are dreaming and one can even "dream the way one wants" :) meaning one has control of even the dreams and it's contents Again, it is all because of only the practice of awareness. But at the same time i have heard many say that one 'forgets' to be aware. This forgetfulness is not really forgetfulness but distraction because the attention is on so many things in the external world because of our deep involvement into maya (illusion) and the work of our own sanskaras. Usually one may become aware when something has already happened, like one might not be aware when one is reacting in anger to a situation but later may become aware that one had lost control. But i believe that even if one becomes aware after the happening, it should be looked upon as a blessing because slowly it can be extended with consistent practice of just being aware. It sure should be a good sign because if the period of awareness is extended and brought forth all the time, it surely has to begin cropping up more often. Even just being aware of the prarabdh which we normally call as troubles or obstacles in life - if one tries to bring in the state of awareness then the effect of that prarabdh would be minimal or to even no effect depending on how aware one is. Babaji says this is one of his greatest teaching - witness everything (drista bhaav), which would come only if one is aware of that situation. When i mention of the 'witness everything' teaching, two things always come in my mind which are so closely knitted - 'har haal mein khushi" and "jo shiv agya" i have to remember the other two when one of these come up to my mind. i have seen so much of close connection in them. It would be such a great blessing to the guru to just grant for awareness! With a greater or fuller sense of awareness developed by practice and consistency, if one can be just aware, one can be aware all the time that he/she is not the doer (I am not this body) and when this happens one starts witness everything and when this happens nothing will effect, thus one will stay happy at all times (har haal mein khushi) and with such a blessed state of being, nothing will matter and one will develop an automatic surrender to anything and everything (jo shiv aagya) and one already knows the magic that happens when one has total surrender which means one is totally merged with the universal consciousness (I am Shiva) and what ill can happen at such state because by this time one has also become the perfect creator of one's own destiny, where one thought and it there and then manifests itself because the self now represents the universe and is in everything and the entire cosmos is in that self. It is when one is in the same state of awareness that one cannot become judgemental and one will just accept everyone and everything and as it is. That is why we find ourselves judging at one moment and in another blissful moment or moments when we are connected, this does not happen. Another very important thing that one can achieve through this is detachment - being a part of everything yet not being in it. The idea here is to keep expanding those moments of awareness into all moments of life so that it spread throughout the waking and non-waking hours eventually, to bring it to a state that awareness is there at every single moment. To be in awareness one again has to live in the present which is another important aspect Babaji often points out - To bring all awareness scattered in the past and future to the present moment. Or in other words if our attention is brought totally to the present - awareness happens :) At such stage what can harm one (jidhe ang sang rab hai, uno fir kisda dar hai) because by now everything is one and how can the self harm the self? Moreover, with such increased sense of awareness one cannot or will not react and thus not create any further karmas and one cannot judge because with this oneness the unconditional love flows - everything is seen as a part of the self, so how can one love one and hate another? This is what could be called the 'leela' situations of different saints and great beings who walked on earth. They never got entangled in anything that they could create thus remaining untouched by karma. i don't know what i am writing but hope it makes some sense. Sure, i have not reached all these situations but i can crystal clear see to how all these teachings are so so closely knitted as just looking at one teaching deeply opens the door to all other teachings . It is like the maze game that ends up bumping into similar paths, blocks, intersections before leading out of this whole game (play of consciousness). Babaji said, "Feel your koshas, feel the chakras, feel the nadis...." This is again to bring in, that state of present awareness. He also mentions that it is not necessary to know where the koshas are or how the chakras look and all, but just to bring that bhaav (intention) and just be present at that moment to feel it. All this with just awareness? Yes, but it begins with the conscious practice of doing something being aware, like i mentioned here how most of these teachings went into my head and into my consciousness just because of the number of times they had to be gone through. Just like what Babaji and Ishan bhaiya convey about creating neuropathways. Oh, i can see almost every teaching boiling down to this one thing.... now, if you have understood every bit of what is written here, you were in total awareness at the moment of reading. Believe it if you may, it is only this and just this awareness of the just being in the master's presence that will do most of what has to be done to your consciousness in shivirs even if you do not understand what Babaji is saying due to language differences or whatever other reasons. Even in any holy place you go, it is pure magic - being just aware... just being there... is all that is needed. i totally remain very, very grateful to you the reader, because in my attempt to maintain maximum alertness not to cause errors, i was only being more conscious and this alertness in one way was creating that same awareness :) As i realize this, heartfelt gratitude to you :) and heartfelt gratitude to the One who blessed me with this opportunity - my Baba! Namah Shivaya!